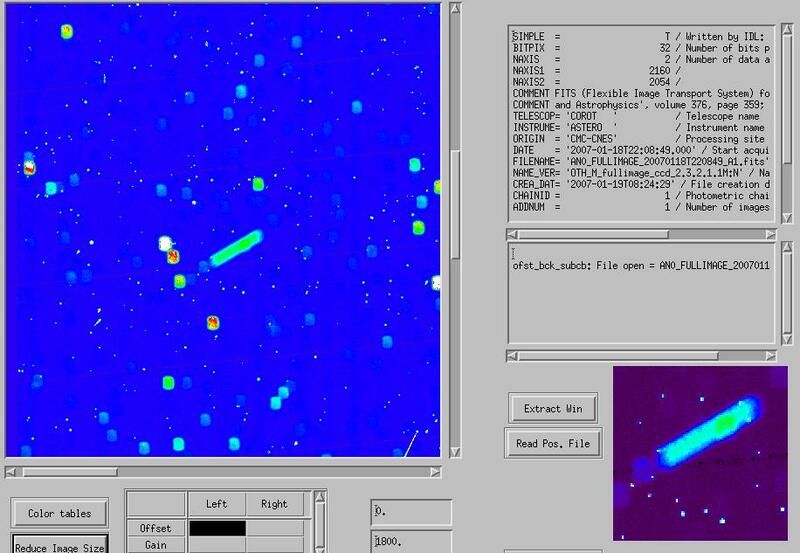 After opening its protective cap and acquiring its 1st image 2 weeks ago, COROT is now in fine-pointing mode, the last crucial step before it starts returning science data. Tuesday 30 January, attitude data calculated by the instrument were used for the 1st time to finely control the satellite bus and achieve perfect boresight stability. Results exceeded all expectations, yielding a boresight accuracy of 0.3 arc seconds, more than 1.6 times better than the original specification of 0.5 arc seconds. The optical performance of the seismology channel is already excellent. While acquiring images for calibration, COROT detected its 1st stray object: a piece of debris from a Delta 1 rocket launched in 1984, which left an easily identifiable track on the CCD in the middle of the star background. The object’s trajectory in the image exactly matches that calculated by NORAD (North American Aerospace Defense Command). 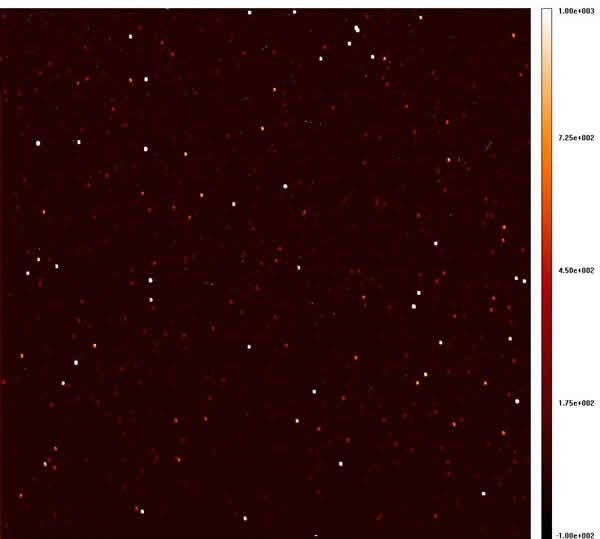 COROT then acquired its 1st images on the exoplanet channel on the night of 31 January to 1 February. Needless to say, they were eagerly awaited by the many exoplanet specialists gathered together at CNES for the occasion. Scientists are now poring over the images to plan future observations. The science mission can therefore begin as planned within the next 48 hours. “First light” is a rather poetic way of describing what, in fact, is a vital step in the life of any ground- or space-based telescope. The quality of the 1st data collected enables engineers to gauge the instrument’s overall performance, the result of a finely tuned interplay between the detector, optics and platform. So, not surprisingly, the atmosphere in the main mission control room on Wednesday 17 January was a mixture of tension and anticipation. “Emotions were running almost as high as for the launch,” says Laurent Boisnard, COROT System Manager. Première image acquise par le satellite Corot le 17 janvier dernier. The team is now looking forward to confirming these initial results in April, when the Sun will be close to the orbital plane. Opening of the protective cap. Crédits: CNES .